Qualifying for European football is the ultimate dream for most teams outside of the established big three in La Liga, but achieving the feat can add a very different dynamic to their subsequent campaign. And it is those mid-table hopefuls that are often poorly equipped to deal with the demands of extra games interspersed with European travel. Last season, Real Sociedad defied many people’s expectations by finishing sixth in La Liga and landing a Europa League spot in the process. As a result, they now find themselves playing six games during an 18-day spell in September. So how will the Basque Country side cope juggling the demands of European football with their domestic duties? A quick look at Oddschecker shows that some bookmakers are willing to offer 40/1 on the Spanish side triumphing in Europe’s second-tier competition – as well as free bets to place that wager. Even their Basque neighbours, Athletic Bilbao, who they pipped to sixth place last term, are much shorter priced. But there is a reason to suggest that the Txuri-urdinak could once again defy those expectations. Anyone who follows the Spanish League will have noticed how brightly La Real started their campaign and also how well they performed in their first game back in Europe since 2014, beating Rosenburg 4-0 in San Sebastian. But significantly, they only used 16 of their 24-man squad during that opening spell and that could become unsustainable as the fixtures start to pile up. Another fact that La Liga aficionados would have noticed is that the current Real Sociedad squad features 13 players who have progressed through the club’s famed youth system with six of those starting in the recent away win at Deportivo La Coruna. And it is these youth players that Coach Eusebio Sacristan will turn to as he looks to juggle commitments on several fronts. A recent report by the CIES Football Observatory showed that Real Sociedad had the second highest percentage of club-trained players (those who have been in their employment for at least three seasons between the ages of 15 and 21) across the big five leagues. Only Athletic Club de Bilbao with their Basque-only policy came higher on the list. With games coming thick and fast and injuries also playing a part (Navas, Iñigo and Oyarzabal were all ruled out of the league clash with Levante), the next generation of youngsters will now get their chance to show their worth at the very top level. Once such player is Andoni Gorosabel, a defender who spent last season on loan at Segunda B side Real Union but is now training with the first team. The 21-year-old will be expected to step up so that fellow youngster Alvaro Odriozola can be rested during the busier spells. Both of these players are perfect examples of how the former Barcelona B Coach is willing to open the door to players from the Zubieta youth academy, maintaining a tradition that has remained strong throughout the history of the club. 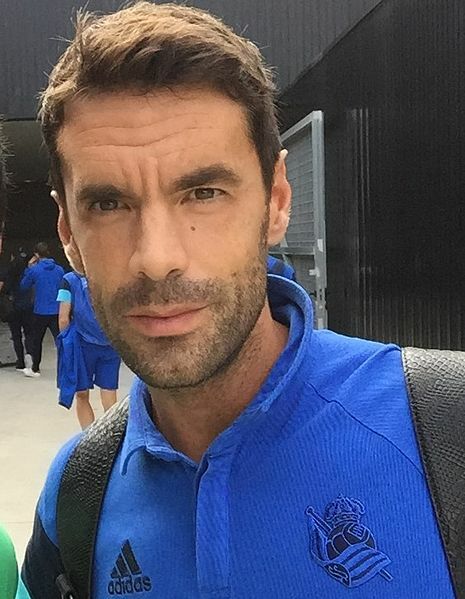 You only have to look at veteran club Captain Xabi Prieto to see the perfect example of how the club covets and nurtures its home-grown talent. But the introduction of European football into the club’s schedule has forced the Coach’s hand somewhat. Meaning that in certain areas where he may have been less keen to rotate, such as midfield, changes will also have to be made. Previously, players such as Illarramendi, Zurutuza and Xabi Prieto had been classed as untouchable but now, 20-year-old Igor Zubeldía could find himself deputizing for his more experienced teammates. The youngster will be expected to slot into a midfield pivot role giving freedom to those ahead of him and offering protection for the back line. A responsibility that he will surely relish. Up front, the talented young forward Jon Bautista will also be given time over the coming weeks as the technician also looks to rotate his strike force, while 20-year-old winger Mikel Oyarzabal has already established himself as a first-team regular. With such talent at their disposal, the team from San Sebastian can avoid being stretched to the limit as they battle to remain competitive in the league, progress to the latter stages of the Europa League and give a good account of themselves in the Copa del Rey. The club’s wage spending cap is the ninth highest in the league, suggesting that they over-achieved when finishing sixth last term. But despite their financial limitations, they have one of the most admired youth systems in the division and that could be the key to grinding out results during the testing months ahead.